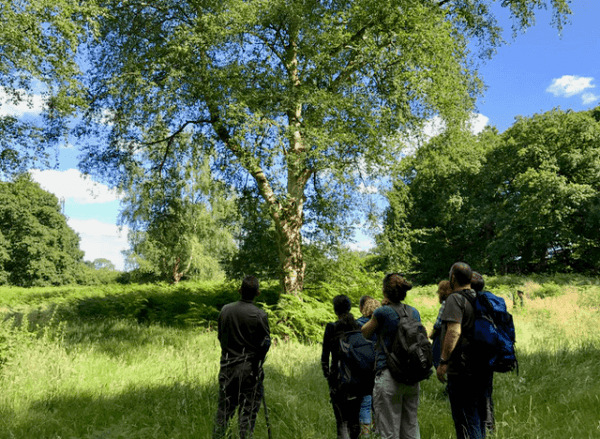 Discover the rare art of finding your way using natural navigation, during this course you’ll learn how nature can help guide you through the lan and sea and navigate successfully without a modern compass or GPS. You will learn how the sun, trees and plants can help point you inthe right direction alongside, the stars and moon. You will also learn during this day course how to attract attention to yourself in an emergency buy various means of signalling. 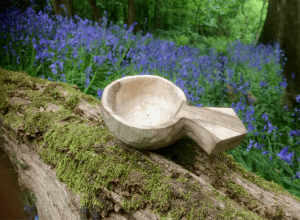 Discover the rare art of finding your way using natural navigation, during this course you’ll learn how nature can help guide you through the land and sea and navigate successfully without a modern compass or GPS. You will learn how the sun, trees and plants can help point you in the right direction alongside, the stars and moon. You will also learn during this day course how to attract attention to yourself in an emergency buy various means of signalling. How the moon and stars can help guide your through the land. How to attract attention using various means. You’ll be welcomed by one of our instructors and guided into the woodland to our basecamp where you will be given a safety briefing before being handed the tools you will be using during the navigation course. Discover how the trees and plants around us can help point you in the right directions and navigate you on the right path. Looking up at the sky can help with determining where you are and which way you are facing, here you will look at the Sun and discover how it can be used as a navigation aid, alongside, the stars and moon. Learn how to take bearings without the aid of a compass and pace accurately a 100 meter distance. 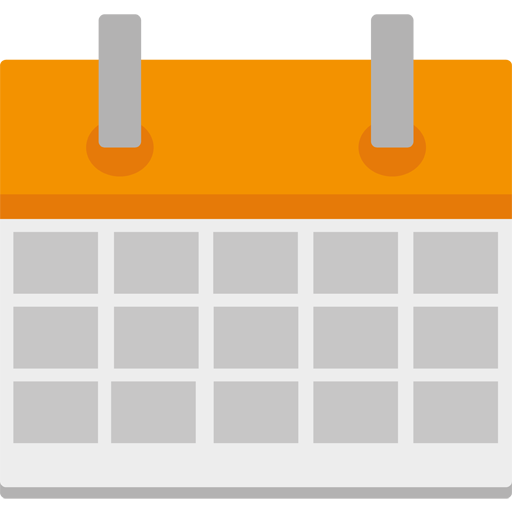 At this point we will set you on a orienteering challenge. Attract attention to yourself and be found is a vital skill to learn and during this course you will be making various means to attract attention. Build a signal fire, discover how using what you have in you bag and pockets can aid in attracting attention and result in being rescued. All good thing must come to an end, time to pack and head of back to home. Come back soon though. 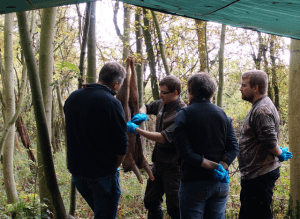 The Whole Deer – A hands on butchery course dedicated to the butchery of an entire deer. You will be getting stuck in to every process throughout this day course covering how to firstly skin a large mammal such as a deer, you’ll then be taken through how to remove the various joints of meat making steaks from the fillets, roasting joints from haunches as well as making marinades to infuse the tasty venison in. Your woodland lunch will be… venison, cooked over the embers of a camp fire. At the end of this course you will leave with a cool box full of venison and recipes of tasty venison meals. 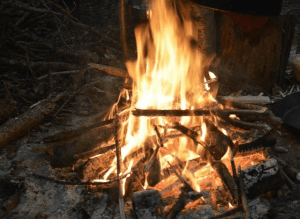 Delve deeper in the skills and techniques of lighting a fire. During this day course you will light a whole range of fires using a number of methods from primitive through to modern. You will learn how to firstly source tinder, prepare it and use it in the most effective manor to create a roaring fire in no time. You will learn and light fires using matches, flint and steel, ferrocerium rods, chemical reactions and the sun. 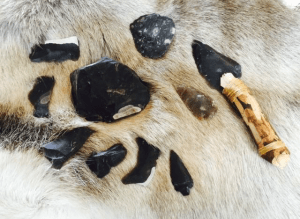 During this course our primitive skills instructor will teach your how to create primitive tools such as axe heads, knife blades, arrowheads, and hide scrapers from nodules of flint. Everything you make during this course you’ll take home with you at the end.